Superfoods aren’t just for humans. Many of darlings of the health food world (like blueberries and quinoa) are good for your pup, too. Packed with nutrients, they can do everything from boost your pup’s immune system to improve their digestion. Whip up one these seven DIY snacks starring superfoods like pumpkin, honey, chia seeds, and more. Sardines may not be your favorite food but pups love them—and that’s a good thing since the superfood is packed with omega-3 fatty acids, which can help make their coat shiny, boost their immune system, reduce inflammation and even help with brain function. 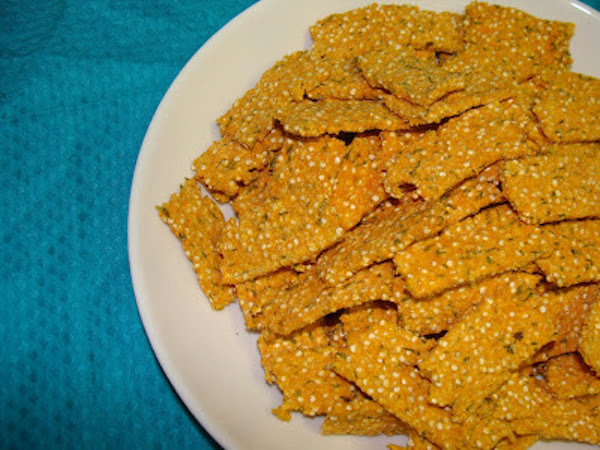 This recipe is simple to make and it’s gluten-free! 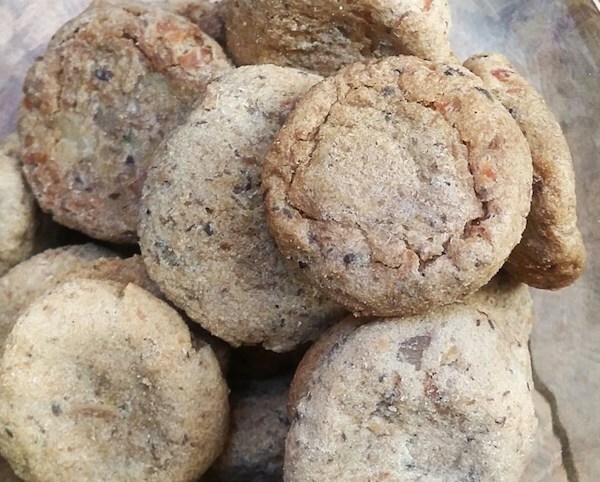 These treats are so tasty you might want to steal some for yourself! The superfood here is honey, which can help combat your pup’s allergies. It’s also rich in live enzymes, vitamins, and antibacterial properties that can boost immune function and digestion. Just be sure to stick to raw and local varieties to reap all the sweet benefits. Blueberries are basically the Superdog of superfoods. 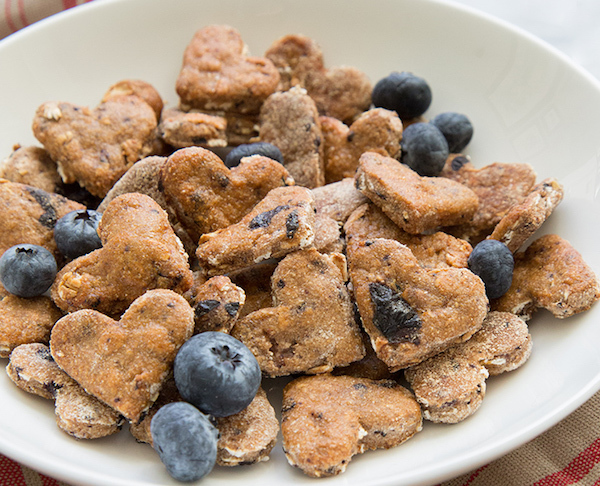 Chock full of antioxidants, vitamin C, fiber, and phytochemicals, they’re one of the few berries that are safe for dogs to eat. 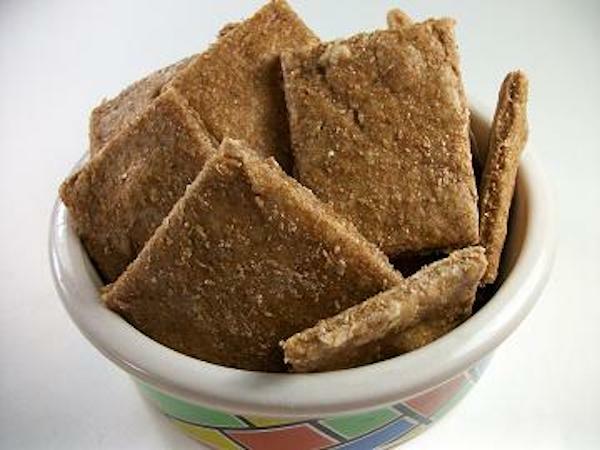 This crunchy snack stars quinoa—a gluten-free, complex carb that’s rich in essential amino acids and protein, which helps pups feel fuller, longer. If your dog isn’t a fan of salmon, feel free to skip it and use water for the dough instead. 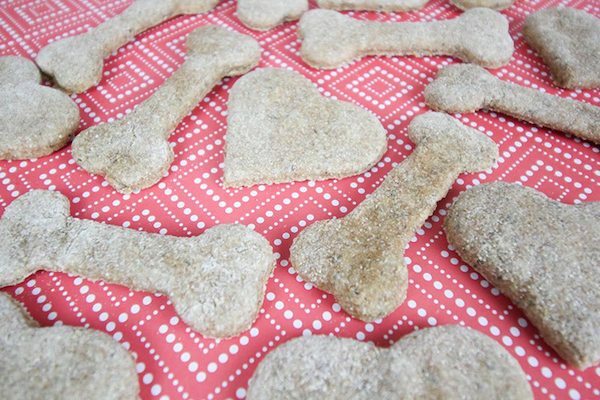 This two-ingredient recipe will become your pup's go-to snack on hot summer days. 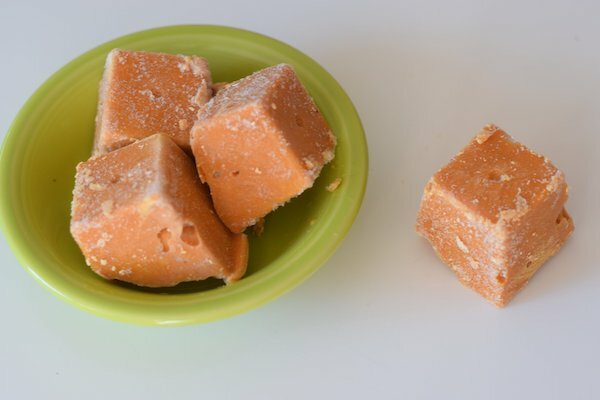 Pumpkin puree is awesome for dogs because it’s low in fat, high in fiber, and loaded with beta carotene, magnesium, potassium, iron, zinc, and vitamins C and A. In addition to being a good source of omega 3’s, chia seeds are full of fiber, which helps your pup with digestion, calcium for healthy bones, and insulin, which helps keep your pup’s blood sugar in check. Kefir is a tart, yogurt-like drink that’s a superfood for your pup’s gut. 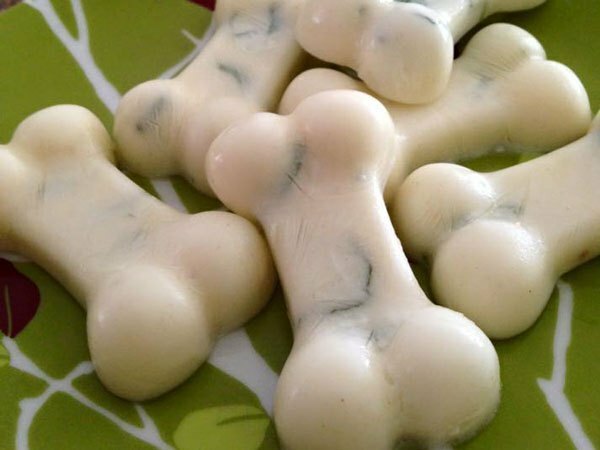 Full of healthy probiotics, it fills your dog’s belly with good bacteria. This treat also stars honey, blueberries and mangoes.